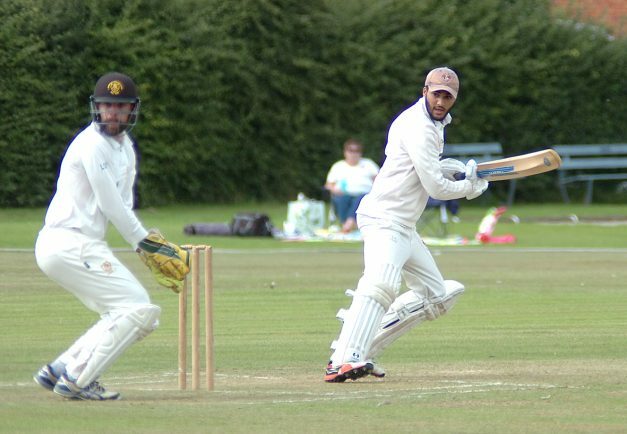 Rizwan Mohammed top-scored for Redditch with 55. Picture by Marcus Mingins. 3617005MMR3. Ghulam Moyhuddin made 21 and took two wickets for the Kingfishers. Picture by Marcus Mingins. 3617005MMR2. 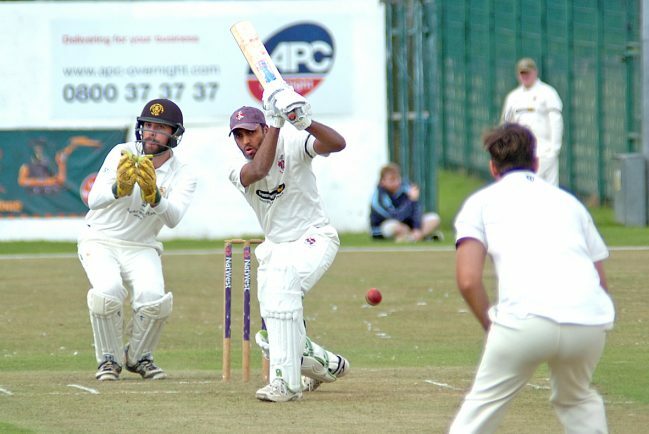 Yassar Altaf batting for Redditch on Saturday. Picture by Marcus Mingins. 3617005MMR1. REDDITCH Entaco edged closer to the Worcestershire League Division One title with a valuable winning draw against fellow promotion hopefuls Bewdley at Bromsgrove Road on Saturday. The Kingfishers picked up 14 points for their efforts to move 39 points clear of Bewdley, who slipped to third, with just two matches remaining. Indeed, it could have been a dream day for Russell Southwick’s men but Cookley picked up the maximum 24 points thanks to a tense one-wicket victory over Hagley which lifted them into second place, 25 points behind the leaders. However, with just Saturday’s trip to Burghill, Tillington & Weobley and the following weekend’s visit of Colwall to come, in-form Redditch remain firm favourites to secure promotion to the Birmingham League. Redditch lost wickets at regular intervals throughout their innings on Saturday as numerous batsmen, including opener Olly Mason (31) and Kiwi Brandon Weal (35), got starts, but failed to truly kick on. 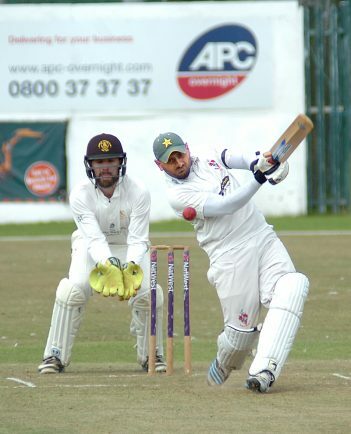 However, Rizwan Mohammed struck a superb unbeaten 72 off just 67 balls in the middle order to help the hosts to 241-7 off their 50 overs. At 158-2 in reply, Bewdley were well placed to secure victory, but the impressive Kingfishers bowling attack kept a tight rein on proceedings despite a superb 105 from Rob Combes who was run out by Rizwan Mohammed. Gareth Lewis made a breezy 56 but he became one of three victims for Waqas Ali (3-56) and the visitors had to settle for nine points for their efforts as they closed on 231-6. REDDITCH Entaco 2nds dropped to third in Division One 2nd XI after just a third defeat of the campaign. The seven-wicket loss at Bewdley allowed new leaders Feckenham and Stourport to move above the Kingfishers by 13 and four points respectively with two matches remaining. The visitors won the toss and chose to bat but only opener Faizan Ahmed with 76 prospered as Redditch were dismissed for 160, with Joe Smith and Grant Morris taking nine wickets between them. Redditch still had an outside chance of victory when Bewdley were reduced to 78-3 but Matt Cowdery’s unbeaten 86 steered the hosts home in the 47th over. Redditch host Coombs Wood on Saturday before finishing the campaign at Colwall.